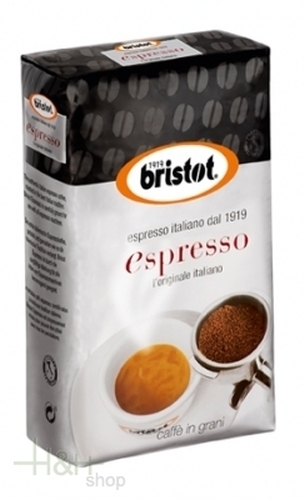 It was back in 1919 that the Bristot family first began roasting espresso coffee in Belluno. And whilst times have certainly changed since these humble beginnings, when coffee was delivered by bicycle, that same original dedication to quality and service permeates throughout the modern company. Bristot has grown over the years, and now can be found in over 42 countries worldwide. The classic taste of original Italian coffee, roasted in the best Italian tradition. A mixture studied purposely to obtain a coffee expressed by the intense and decided taste. VERY GOOD, ich werde nochmal bestellen.